Day 15 of the Whole30 Program, and I’m feeling wonderful…continued energy, aches and pains gone, baggier jeans. Today, I decided to add another health component to my program, one I’ve attempted to incorporate in the past. It would have been great if I had thought of this at the beginning of the Whole30, however there is no time like the present. I’ve read much about the health benefits of drinking warm water, with lemon juice added, and they are many! 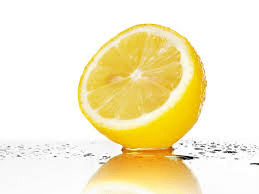 The lemon is a vitamin rich citrus fruit that is also packed with such nutrients as calcium, potassium, magnesium, phosphorus, and pectin fiber, with traces of iron. 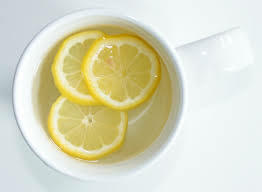 A cup of water with half a lemon squeezed into it has less than 25 calories. Or a capful of real lemon juice in water can be used instead. I am convinced, and have been for some time, that adding this daily practice would be a healthy choice for me. My problem has been remembering to drink my cup of warm lemon water first thing in the morning. So, I am being very intentional about it. I’ve got my cup set out on the island, ready to go, so I see it as soon as I walk into the kitchen. I know the power of intention. Not so long ago I put the intention out there to write, every day. And into my life flowed the opportunity to create that habit. Including today, I have written daily for 434 days. My desire is drink warm lemon water first thing every morning for the next 180 days and examine the results in my health and my body. I’ll let you know how it goes!